Albert Vaults has been developed into 8 storeys comprising a mix-balanced selection of modern one, two & three bedroom apartments, which are designed to a high specification and are perfect for city living. This two bedroom unit is located on the sixth floor facing the south-west part of the city. 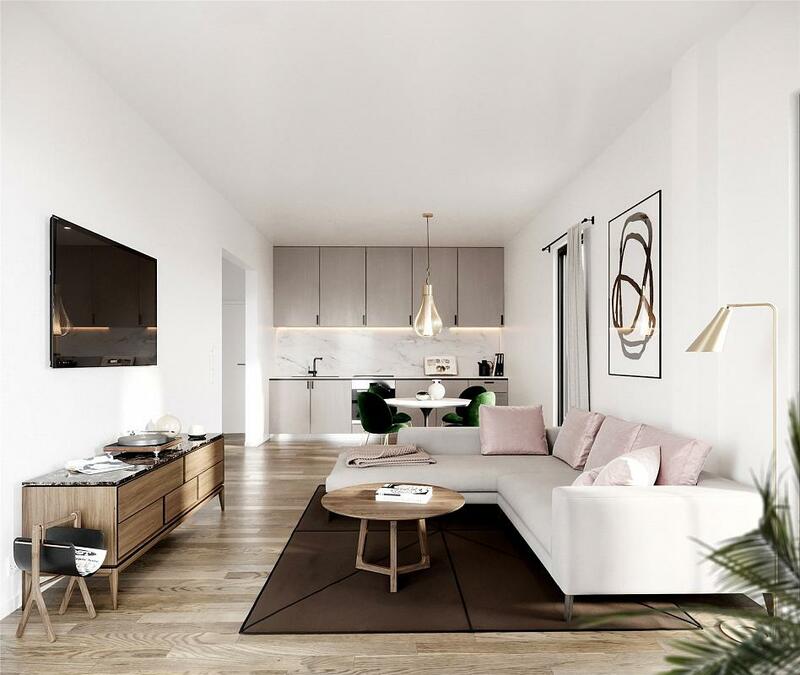 With a choice of four different floorplans, each of the apartments in Albert vaults offer integrated Zanussi appliances in the kitchens, sleek engineered timber oak flooring with carpeting in all bedrooms, as well as energy efficient heating panels. Bathrooms feature prime ceramic tiles, a vanity with mirror and built in shelving and a thermostatic Aqaulisa shower with a full height screen. Door entry system and intercom handset have been added for extra convenience. The development benefits from a premium location in the heart of Manchester, with excellent transport links and within close proximity to lively Spinningfields, a highly popular destination for entertainment and shopping. In the local area, we can also find the Manchester Arena and The Arndale - largest of a chain of Arndale Shopping Centres built across the UK. Albert Vaults is well served with transport links, being near the Manchester Piccadilly Station, a short drive away from the Manchester Airport and a within easy reach to MediaCityUK - home to the likes of the BBC, ITV, Ericsson, dock10 and Kellogg's. Albert Vaults is due for completion in July 2019, making it the perfect purchase whether for investment or to live in. Manchester is the economic engine of the North West and the regional centre for finance, commerce, retail, culture and leisure. "An exclusive development in the heart of Manchester"